Is there anything more comfortable than getting your braids done while lounging on a private jet? On second thought, there probably is. Getting braids can probably be pretty painful. The thought definitely seems pretty luxurious though. 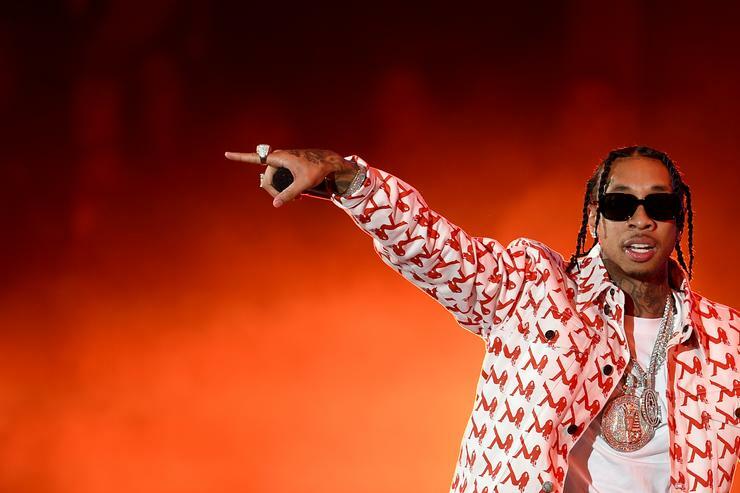 Tyga experienced it firsthand as the Californian got braided up while on a private jet, deciding it was the perfect time to preview one of his upcoming musical efforts. This year, T-Raw has evolved from an afterthought to being the creator of one of the biggest hits of 2018. His comeback effort has been phenomenal and his next song may help to bring him even higher up the ranks. Kodak Black’s “ZEZE” just debuted at No. 2 on the Billboard Hot 100 and with such a standout beat, we’re not entirely surprised. It’s remix-friendly as we’ve already heard Plies and a few others attempt to work over D.A. Doman’s magic and Tyga looks to be the next in line for his own version of the hit. The producer has worked closely with Tyga for a few years so it’s no surprise to hear the rapper spitting over the hypnotic “ZEZE” beat. After all, Doman produced both “Taste” and “Swish” from this year, cementing himself as one of Tyga’s go-to beat-makers. In the preview, we hear Tyga switching up his flow a few times in what will definitely be an interesting display. We’re pretty excited to hear the full version after the snippet he previewed on Instagram.